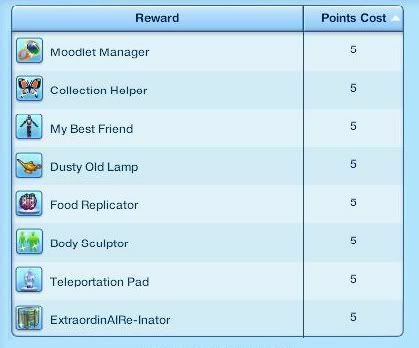 This is an update to my mod all lifetime happiness rewards cost 5 points for The Sims 3 Showtime. It will also work with any EPs you have before Showtime and the base game, even the ones I don't personally own. Enjoy! The link works fine for me and others, but some people are having problems with the link appearing (possibly because of overload) so I've included more fileshare sites. ~ Thank you I missed this! ~ Been earning points the old fashion way!LOL! Yes, it does. Click download here, wait 20 seconds. Then click download now. Link is not working for me either. I even tried a different web browser and all I get is "webpage can't be displayed" message. Link isnt working for me also. keep getting a message saying cant find server. I was really looking forward to this mod. I will check back again later. I plan on updating it as soon as I can get Supernatural EP.